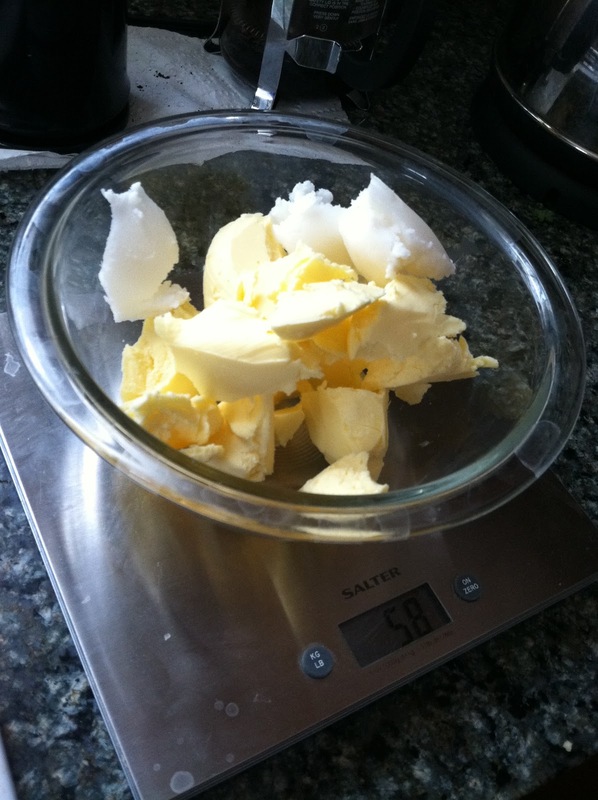 Here we are… the penultimate post in my series on The Science Behind… the baking process. It’s been quite a ride. I hope it’s been as helpful for you to read as it has been for me researching and writing it. Now, onto the topic of cooling and staling. I decided to include staling in this post (and then go into more detail in the next post on storing your bread) because structurally and chemically, cooling and staling are basically the same thing. 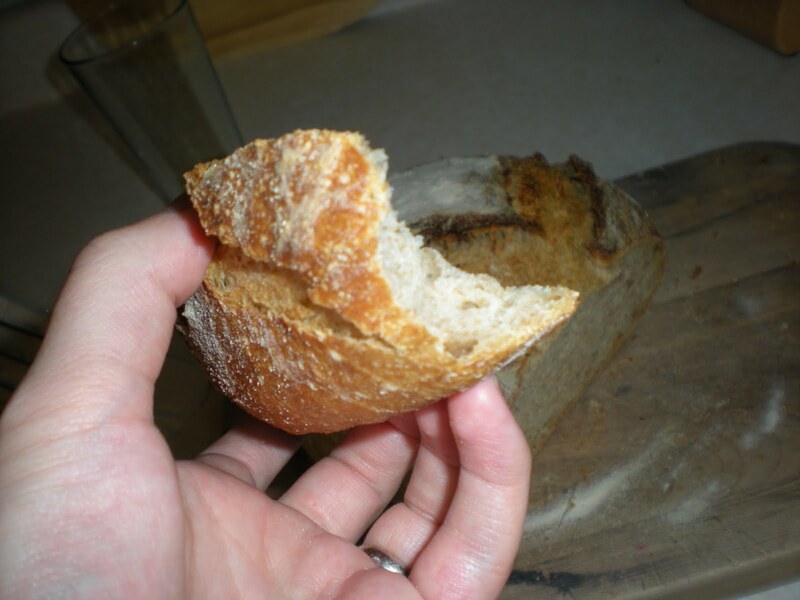 In the last post of the series I’ll discuss staling as it relates to storing and consuming your bread. 1. What happens to bread once it’s taken out of the oven? 2. Why should I wait to cut into a loaf of bread until it’s room temperature? 3. Why does bread get stale? That’s it! Three questions. Can you believe it? Before I tackle what bread does once it leaves the oven, let’s review what happens to bread IN the oven. As you can see from my handy chart (top two bullet points), in the presence of high heat, water gets absorbed by starch molecules. The starch molecules become so engorged they explode. They burst, releasing water and sugars in a process called “gelatinization.” You can imagine gelatin, right? Imagine the sugars and water in a gloopy jello-like mass, with no structure. Gelatinization gives bread its moist mouth-feel, which is pronounced if you take a loaf of bread out of the oven and immediately cut into it and eat a slice. Sugars do not like being gelatinized. They like to align themselves in long strands of glucose, forming a net not unlike the gluten nets with which you’ve become familiar throughout this baking process series. As the bread cools, the sugars scramble to re-structure themselves (recrystallize) and push out the water. This process can take less or more time depending on where the bread is stored and whether the bread is lean (made with only flour, water, yeast and salt) or enriched (containing some fats). 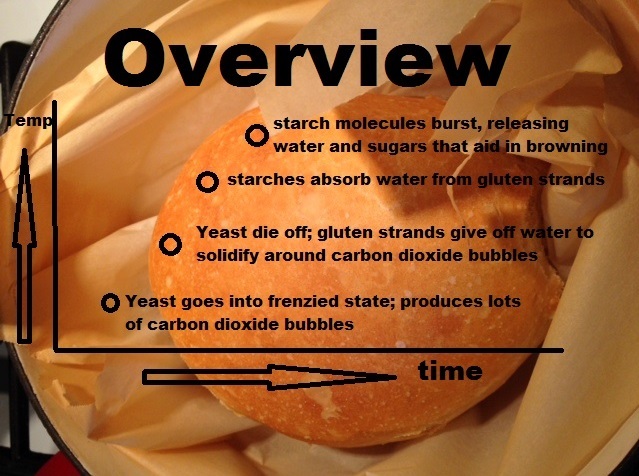 Re-crystallization isn’t the only thing that happens once bread comes out of the oven. If you baked your bread in a very hot oven, the bread will cool rapidly once it is taken out and the crust will start to contract as it cools. The hard crust will crack as it contracts, and some of the water just under the crust will escape through the cracks as steam. About 2-3% of the weight of your loaf will be lost due to moisture loss during cooling. I like the imagery of the bread crackling as “singing.” I even tried to record a video once when a loaf was singing quite loudly. Initially, the only water that evaporates from your bread is just under the crust. Over the next few days, more water will move from the interior to the crust. That’s why your crust is only hard and crusty for the first few days, but softens after that. 2. Why should I wait an hour after the bread leaves the oven before I cut into it? There are a few reasons to wait until the bread has cooled before slicing it. First, gelatinized bread feels very wet and doesn’t have much structure. It’s very easily torn apart, but it doesn’t stay together very well. Good for melting butter, not good for sandwiches. As the starches recrystallize, the starch molecules restructure themselves into long chains again, helping firm up your crumb. Second, you give your crust a chance to crackle and contract. Third, you prevent water from escaping. You see, while the crust does crackle a little bit in places, most of it stays hard and thick, trapping in most of the water. 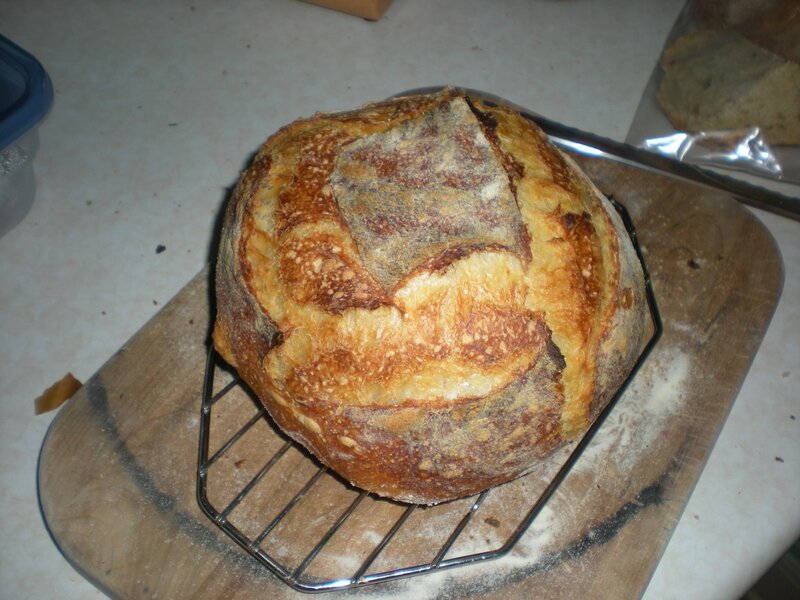 Finally, particularly for ryes and sourdoughs, the flavor gets better if given a chance to cool and rest. I typically leave my breads out to cool overnight. After that, I can store the dough in plastic bags without worrying that the condensation won’t be trapped in the bag, ruining the crispy crust. 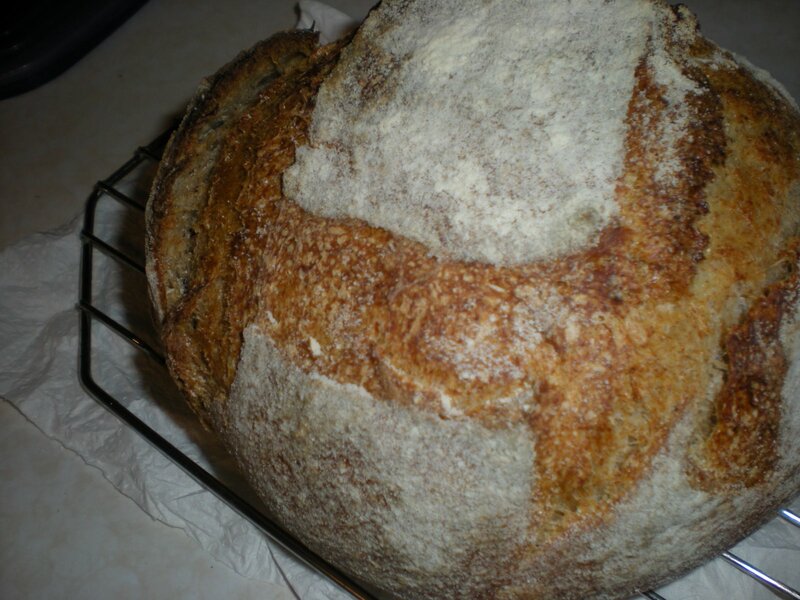 More on that in my post on storing your bread. 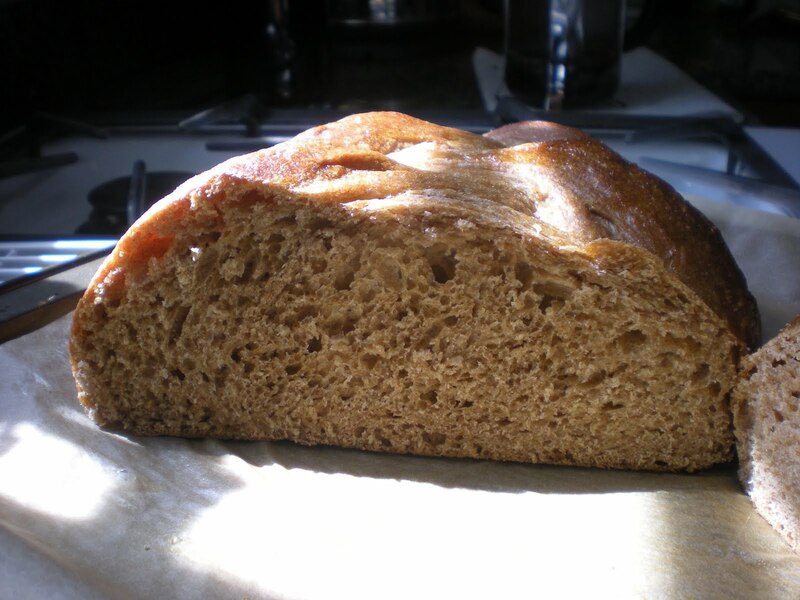 I’ll talk much more about the staling process in my next post, The Science Behind… storing your finished loaf.